“Let thy food be thy medicine”. These are the words of Hippocrates, a Greek Physician, who is the Father of Medicine. We hold in our hands the fate of our well-being. Recognizing the healing potential of the right foods can save and protect us from known diseases. Nevertheless, most of us disregard this fact. We still prefer foods that we find delicious. We prefer eating late night dinners and buffet foods. It is not surprising that the rate of sick people is getting higher. As a result, more and more people are relying on drugs and medicines to treat the illness. Furthermore, today’s lifestyle has become very stressful, busy and full of tension. The environment has become polluted and today’s food mainly consists of junk foods and preservatives that are detrimental to our health. When we get sick, we rely on our doctor’s medicines to treat our illness. Even parents are accustomed to bringing their children to the family doctor to treat common coughs and flu. We have become so accustomed to relying on our doctor’s medicines that we already have forgotten our bodies’ primary needs and the reasons we get sick. Instead of cooked or fried food, we should focus more on raw foods, fruits and vegetables. 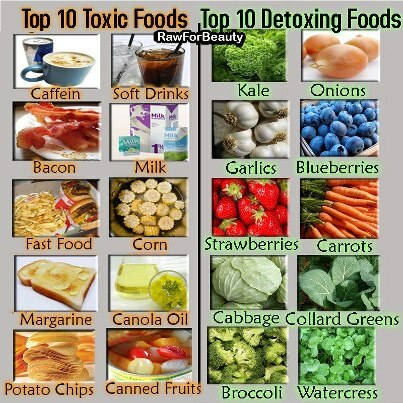 These foods are considered great for our health. An effective way to get all the nourishment from these foods is to juice it. Drinking fresh juice from fruits and vegetables can keep us healthy. Fresh extracted juice is capable of not only treating chronic illnesses, but it can also help prevent it to keep your body and mind healthy. Healthy juices can help treat illnesses that modern medicines and therapies cannot cure. It is quite inspiring to know that more individuals are now realizing the significance of fresh juice. We all want to live a healthy life – a life free from diseases. Unfortunately, not all of us, including me, take this seriously. Most of us try our best to maintain a healthy life. We all know that eating fruits and vegetables is the right thing to do. Yet, we still go for foods that we find tasty than those that our body requires. There is nothing better than eating fruits and veggies that are natural and pure. Most of us disregard juicing because we think it is time-consuming. If you think this is true, you better think again. It only takes a few minutes to create a healthy and delicious juice drink. Throwing small pieces of fruits and veggies to your juicer is all it takes to make a healthy juice drink. Spending a few minutes of your time to make a single glass of juice is enough to keep your body and mind healthy. Within just a few weeks of drinking healthy juice, you will notice a glowing and shining hair and skin. You may not notice it immediately since the change is gradual. However, I can assure you that by continuously drinking healthy juice, you will look and feel better. You will feel energetic, vitalized and become healthier. I remember the first time I experienced the absolute power of juicing. It was in August 2004. My mom was diagnosed with terminal ovarian cancer. She was 73 years old. She was seriously sick with a bloated stomach. The doctors we have seen gave the same prognosis. They told us that my mom condition was terminal and she have up to three(3) months to live. I stumbled upon a juicing book when I was on my way home after visited my mom at the hospital. The book entitled “Juice – Diet for Perfect Health” written by Dr. Dhiren Gala. I read the book and I thought I found a new hope for my mom. I believed what I read makes sense and I wanted my mom to try juicing. My mom knew about her condition and what the doctor told us. They told us to prepare ourselves for the worst as ovarian cancer is fatal and few people survived, especially when it’s in the last stage. After much persuasion, my mom agreed to try juicing except celery. From the juicing book I chose green apple, carrot and beetroot. I even bought a manual juicer so we can use it when she stay in the hospital so she can take some grape juices since she was so weak after the chemotherapy. At first, my mom doubted the benefits of juicing but after she felt the change in her energy, she realized juicing had gradually helped. She is 80 years old now. I can no longer find Dr. Gala’s book available on the shelf today. This is why I truly treasure this book. I still go over it every once in a while. KINDLY REMEMBER THAT I AM NOT PROMOTING AN EXTREME CHANGE IN YOUR DIET. REMEMBER THAT HEALTHY JUICES ARE NOT MEDICATIONS. THESE JUICES ARE NUTRITIOUS AND NATURAL FOOD THAT GIVE YOUR BODY THE APPROPRIATE NOURISHMENT THAT YOUR BODY NEEDS TO REMAIN HEALTHY. If you are interested in turning to juicing, then there’s one thing you need – a good juicer. You may want to get a good juicer from www.JuicingSingapore.com. These juicers can help you juice fruits and veggies, including wheatgrass. A masticating juicer is different from other types because it is capable of extracting the moisture from the wheatgrass unlike a normal centrifugal juicer can do. This type of juicer is not limited to wheatgrass. You can also use it to juice different kinds of vegetables, such as herbs, celery, lettuce and spinach. I personally recommend either Hurom, Omega Slow Juicer or the Blendtec Blender. These machines are what I have in my kitchen. You can easily find customers good feedback in youtube and videos both in Mandarin and in English. Indeed, juicing is a simple yet an effective way to start living a healthy life. By the way, that’s how I started selling juicers online 6 years ago. So I encourage you to start juicing right away to enjoy the benefits that juicing offers.